There is 2 more months this year and signs of growth of the banking credit is still low. October last year 38% , this year only 13 % and the following month 33% 2008 and 18% for august this year. There will be a correction of 12-13% from 15% of credit growth this year. Indonesian Central Banks Governor Muliaman Dharmansyah Hadad, said that the total undisbursed credit is Rp 250 billion. This indicates that the private sector would not absorb this credit or the credit rate is still high for them because the decrease rate of the BI Rate is not as fast as the decrease rate of banks credit rate. 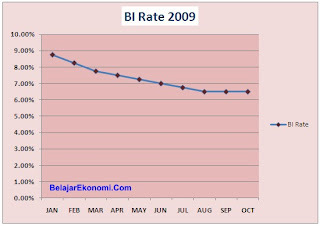 From the graph above you can see that BI (the central bank) rate has already shown a decreasing from the current 8.75 % at January 2009 to 6.50 % at October 2009. This is a good initiative move the real sector. But current Banks are giving credits for SMEs at rates around 12-13% and for corporate is 10-11%. Seeing the decrease of the BI Rate, if the Banks don,t follow, this policy could become useless, because business owner would rather use their own money rather then debt. In the financial management point of view these business owners can not increase financial leverage from utilizing debt at a controllable level. Syarifuddin Hasan, The new Minister on SME and Empowering Cooperative, said that programs for the cooperative and the Small and Medium Enterprises known as KUKM (Koperasi dan Usaha Kecil Menengeh) said their department will continue the last ministers program but with a different mindset. He says this ministry must be the top enabler and empower of small businesses and increase the level of 51 million Small businesses into large business that could increase economic growth. Last night(Oct 21st), the economic team of the elected president Susilo Bambang Yudoyono, was finally conveyed to public as the president announced his cabinet members at 22.00 WIB. The names that arise are names that were ones expected before. When the names first arise to the media before the official announcement, there were pro and contra about the capability of these candidates. 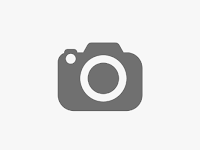 In the presidential system it�s a prerogative right for a president to choose his men. Basically it can be chosen from the competence background, a political decision, and the passionate of the person to that field says political analyst. So its totally up to the president, whether his choice is based on the track record and competence of the candidate i.e economic degree and experience in the field. It can also be based on the political choice by means that accommodating coalition parties. In this case the candidate could be a choice of the party leader. And the last is from the concern, shown by sound track record and the interest to the field and pledge to make positive changes. But the real thing or indicator after all is the market reaction to the candidates or to the final announcement. There was a slight fall of the index (Wed (21/10/2009) closed at 25,419 poin or 1,02 % decrease) when the candidate names shown, it was said that because the market felt that the candidate was incompetent and has little or no track record in the field. 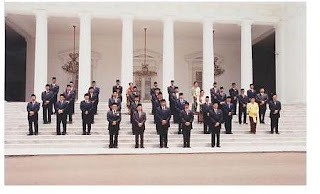 But overall it affected positively to the market and investors, because there were equalizers (like Sri Mulyani and Djoko Kirmanto) with proven track record. But the president's words were that he can't satisfy everyone since this is the beauties of democracy. If these new ministers do not perform, reshuffle awaits. * Create Jobs to reduce national unemployment rate and the poor. * Make economic policy that is friendly for investors. The first task of these ministers is to translate the 100 days goals of the president to planned, achievable programs in their departments. And the second give prosperity to the people. Come and join our newsletter. You will get a free Ebooks, and other free important documents. Dengan bergabung di newsletter ini anda akan mendapatkan Ebooks di bawah ini, secara GRATIS !. 1. Contoh Format Business Plan ! Yah pusing disuruh buat Business Plan,apa unsur-unsurnya, tinggal ikutin langkahnya dalam Ebook ini.Simpel dan mudah dimengerti. Anda bebas menggandakannya sesuka anda. 2. Teori Ekonomi Dasar ! Get the Salary Standards for Indonesian Employees. 4. Top Motivational Quotes ! By joining this newsletter you will always get motivational quotes and business tips from me. Setelah anda bergabung, masuk bagian Files dari Group lalu DOWNLOADlah sesuka anda.